Our design team offers homeowners a classy, nice looking concrete driveway, pathway and patio that will match their neighborhood in style, tone and elegance. We have found that homeowners desire to have elements of their home match perfectly to the concepts of design and style that define an individual’s personal style and panache. Concrete offers a simple affordable solution to homeowners. Hal’s Construction professionals use the best tools to create beautiful textured concrete. 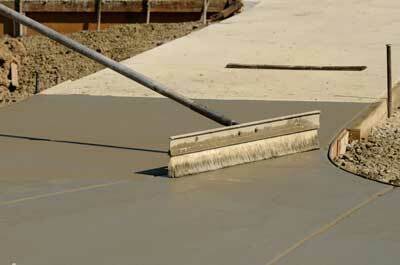 Some concrete may be machine blended or crafted individually by hand as the job requires. 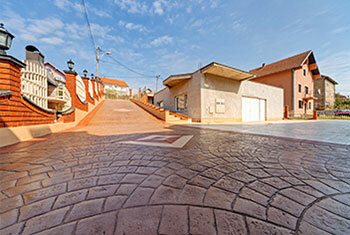 Concrete can be personalized by using a wide variety of methods. Hal’s Construction offers pre-existing rendered stamp fabrications for property owners to invent their own designs for implementation. Hal’s Construction teams can provide many possible looks that mimic perfectly the appearance the client desires. As an added bonus, clients will be pleased to know that concrete is durable, resistant to weather and normal wear and tear, and requires minimal upkeep. Possibilities are boundless. Hal’s Construction is an expert at implementing unique textures. If a client wants a wood grain stamped concrete appearance in the middle of a beautiful garden, Hal’s Construction can do it. If a homeowner wants a flagstone patio bordered by concrete pedestals stamped with a geometric pattern, Hal’s can do it. If a client wants textured concrete done in the colors of a personal crest and marked with a simple yet enduring design, Hal’s Construction will deliver. Patios, walkways, driveways, pool decks, garden vistas and other structures are great surfaces for clients to personalize using stamps, textures, accents, stains and molds via application through a qualified contractor. Hal’s Construction teams do excellent exterior work as well as interior work too, like a wood grain stamped concrete dining room floor or ball room. Hal’s Construction can sculpt textured concrete into any desired appearance and for an affordable price. For a free consultation, call Hal’s Construction today at 503.226.4999!